Founded in 2000, the SFWSC is one of the oldest competitions of its kind. With nearly two decades of experience, our operation has become a fine-tuned masterpiece that blends passion and professionalism. Throughout our judging process, we emphasize integrity and impartiality. Our blind tasting process guarantees that every entry is judged fairly and given equal consideration. 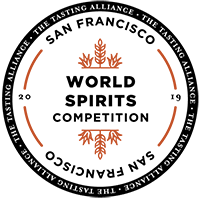 With nearly two decades of experience, the SFWSC has become one of the world’s most respected spirits competitions due in large part to our esteemed judges. Each with a distinct story and trusted palate, these seasoned experts are one of the reasons an SFWSC medal indicates the highest caliber of quality. What does a medal mean for you? SFWSC medal winners range from some of the most renowned international distillers to small-batch producers that we’ve helped put on the map. Not only is an SFWSC medal a testament to your hard work, it’s a universally recognized indicator of exceptional quality and craftsmanship. Our medals are valuable sales tools that can garner a flood of attention from press, industry experts, and consumers. In a saturated marketplace, winning an SFWSC medal sets you apart from your competitors while giving you opportunities to further promote, market, and position your product to consumers. All Gold, Double Gold, and Premium Award winners will be listed in an issue of The Tasting Panel Magazine, which reaches over 90,000 beverage-trade decision makers. Bottle stickers are available for purchase to help increase visibility and distinguish winning products on store shelves. High-quality, high-resolution medallion imagery is available for licensed use in winners’ online, print, and POS materials. Developed exclusively for SFWSC winners, a complimentary marketing toolkit will provide ideas, tips, and strategies for promoting your award to increase visibility and maximize sales. Throughout the year, the Competition hosts numerous media, trade, and consumer tasting events around the country to showcase top winners. DO YOU THINK YOUR SPIRIT'S A WINNER?